Digital disruption has generated considerable hype, due in part to the fear and perceived risks of choosing the wrong path or passively being disrupted by competitors. 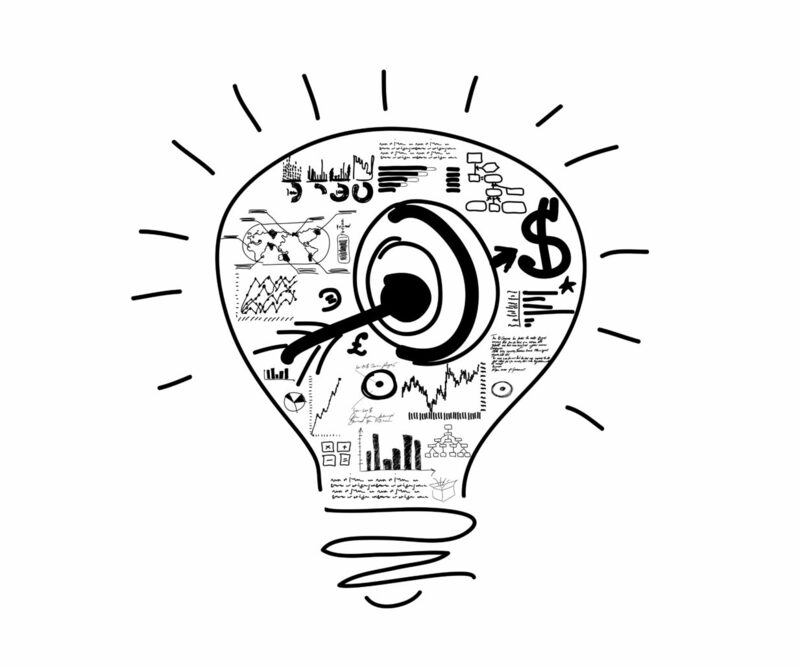 We help companies plan and time disruptive moves to maintain or improve their competitive or financial position. When considering a disruptive move, we help decision makers determine the best course of actions, associated costs and expected outcome. Change may become necessary when new technologies and business models affect the value proposition of existing goods and services. For instance, poor system performance may be limiting a business’ ability to meet evolving market expectations. The metrics supported by X-Act® platform help our clients clearly understand the risks of maintaining the status quo and the benefits that can be gained by making changes. 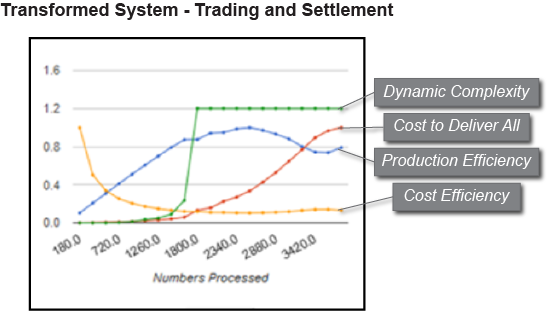 If the predicted results of a proposed project show that it will be unable to deliver the desired long term improvements, X-Act platform helps users identify the actions needed to align revenue to mark-up cost, regenerate a value chain, do more for less, or initiate a fundamental change in processes, corporate structure or infrastructure. In this way, a proposed project can be proven as a way to outperform the actual implementation through the key effort of re-engineering before any investments are made. If the predicted results of a proposed transformation are not aligned with business strategies and associated imperatives, it becomes clear that a disruption is needed to re-align the implementation with the business goals and objectives. 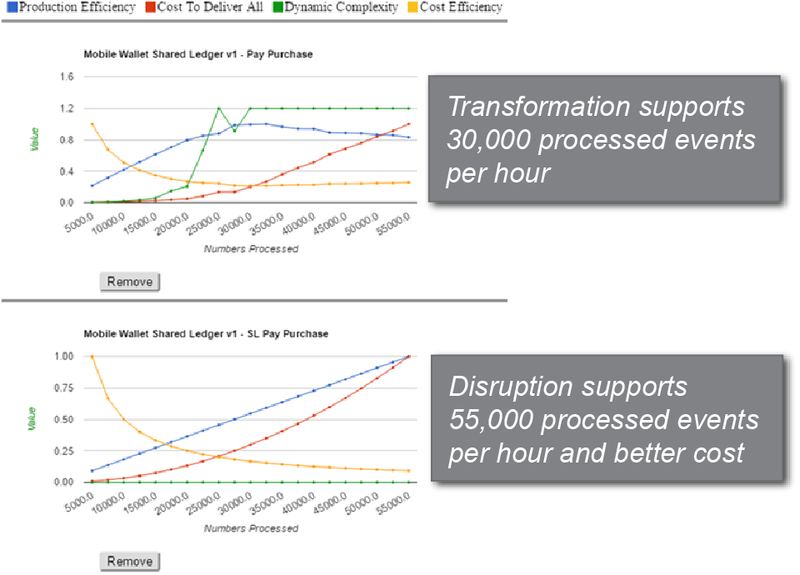 For example, if the business goal is to increase the customer base by 10X within an environment with limited scalability, improve the ability to absorb a financial crisis (such as the 2008 economic meltdown) or use an innovation (such as blockchain), then disruption may be the only feasible course. In any case, the metrics offered through X-Act platform will help management make the decision with full confidence in the outcome. The emulation capabilities delivered through X-Act platform provide an insurance mechanism to verify that the implementation will conform to the promise made to the business during the early stages of project definition. 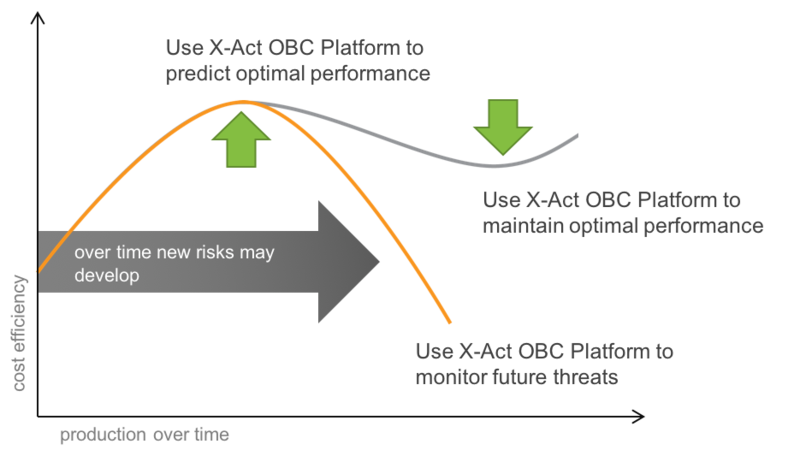 Throughout the project lifecycle, X-Act platform can be used to discover operational risks and provide options for mitigation.